The reliability of Rex klisters is well known among competitive as well as recreational skiers. New and refreshed series of Rex klisters is even more durable and they always create a well performing ski for any condition. 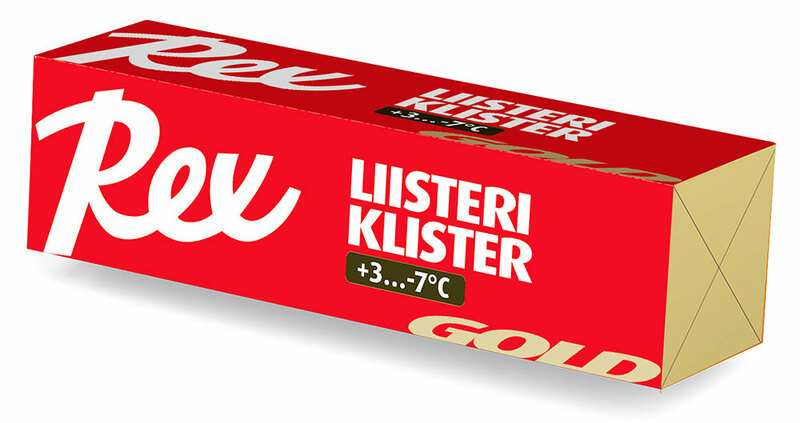 The new Red klister is based on the successful Gold klister. Developed in co-operation with Finnish ski team. At it’s best in wet conditions, during a moist snowfall and in slushy snow. Despite it’s softness, Red klister is durable and easy to apply. A must-have product for coarse snow, manmade snow and glazed tracks around +3...-7°C. Tested and approved by all major XC world cup teams! Altough the Gold Klister is a new product in our klister line-up, it already has a strong reputation. The king of klisters for all kind of klister conditions. Despite its Universal name it is widely used in races too. A durable klister for wide temperature range. For coarse wet snow and coarse icy snow. For icy and hard track. Famous for its durability. 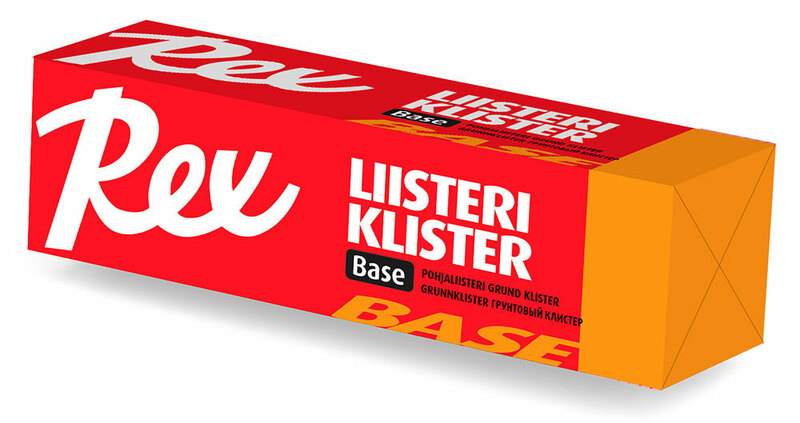 In abrasive conditions can be used as a base wax for other klisters and grip waxes. A special klister for coarse and wet snow. One of our top products! Binder for klisters and kick waxes. Gives great adhesion and increases wear resistance for waxing. Three of our most popular klisters are now available in liquid form. It has been never this easy to apply a perfectly even and thin layer of klister. Our Racing Service guys loved using these so they are entering production! The klister itself is just the same, only the application method is different. Liquid klisters can be used on top of hard waxes on icy tracks, can be applied while skiing without drying! 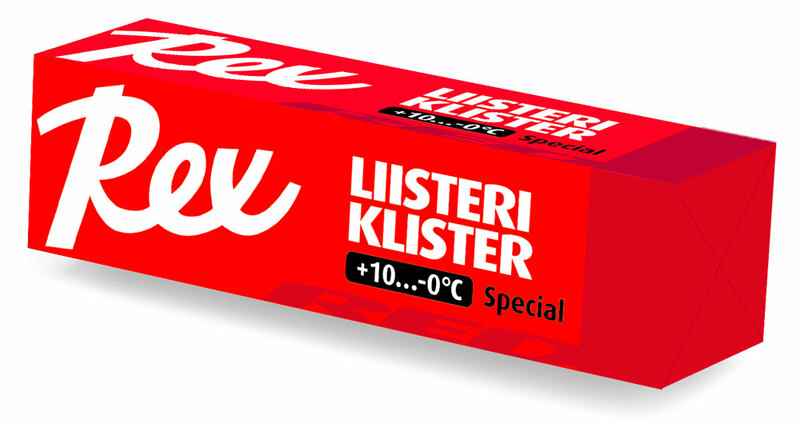 For achieving thick layers and skis with high wax chamber (klister skis), we recommend using traditional klisters. An easy way to achieve a perfectly even and thin layer of base klister without getting your hands dirty. Base klister is where our new liquid klister concept really shines. Professional waxers new favourite base klister! Our very popular Gold Klister is also available in liquid form. It works great also on skis with a low wax chamber, whereas normal klisters are best suited for skis with a higher wax chamber. You can apply liquid klister while skiing, no drying time required! Same properties as 210 Red Special klister, but new liquid form. Keep your klister-spreding thumb clean! Klisters are grip waxes specially designed for wet and icy conditions. More tips for using klister on our YouTube channel!